We have been in business since 1988 and financed close to 7,000 individual loans; Funded more than $100,000 million worth of notes in 2018 alone; Average 35-40 new offerings each month. We are always looking for new, experienced investors. Below are recently funded loans through our office. If you are interested in receiving California Trust Deed offerings from us, call our office at 707-523-2099 or fill out the short form at the bottom of this page. First Trust Deed for $450,000 @ 11.5% interest only for 1 year with guaranteed interest for 3 months. This is a non-owner investment purchase. Purchase price is $600,000. Loan to value is 75%. Property is a single family house, built in 1968, with 2 bedrooms, 2 bathrooms, has 1,117 sq ft., on a lot of .514 acres. Property is in need of remodeling. Borrower already has his remodel crew ready once close of Escrow occurs. The borrower makes good income ($46,155/month), has over $392,000 in the bank, excellent credit (scores of 813 & 801) and owns 11 other properties. Borrower will be remodeling the property and then refinancing the property as another rental for himself. This is my second loan for this Borrower. Second Trust Deed for $490,000 @ 12% interest only for 2 years with a 6 month prepayment penalty. Value based on appraisal is $1,800,000. Combined Loan to value is 60%. 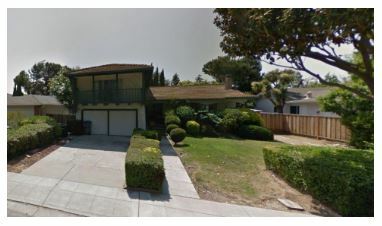 Property is a Single Family Residence built in 1968, with 4 bedrooms, 3 bathrooms and is 2,295 sq. ft. on a lot of .16 acres. This is a non-owner property and will be rented out after upgrades are done with the proceeds of this loan. Rent will be as high as $5,000+/month for a remodeled property this size. An assignment of rents will be done on this loan. The first mortgage has a balance of $587,888 with a monthly payment of $1,800. Borrower inherited this property when his father died earlier this year. His dad was ill for a while and fell behind on the mortgage. This loan will get the first current, pay off some debts from when his father was ill, and give the costs needed to rehab the property to be rented out at a higher amount. The borrower makes good income (about $20,300/month), a credit score of 593, and this property has been owned for over 28 years in his family. First Trust Deed for $950,000 @ 12% interest only for 2 years, with a 6 month prepayment penalty. Valuation done by recent appraisal is $1,350,000. Loan to value is 70%. Property is a Single Family Residence built in 1950, with 2 bedrooms, 1 bathroom, 1,160 sq ft, on a lot of .112 acres. There are 5 units and all are rented out, with a gross monthly rental income of $10,650. This rental income covers the monthly payment on this loan ($9,500) and there will be an assignment of rents. 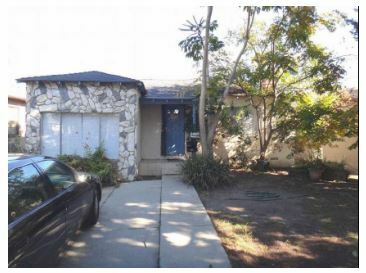 This loan will be paying off an existing Hard Money loan of $845,000.